In the world of turf science, mysterious brown spots provide a peek at the multitude of bacteria and fungi that live within our lawns. Dr. Maria Tomaso-Peterson, a research professor in biochemistry, molecular biology, plant pathology and entomology, recently classified Culvaria malina, a strain of fungus common in turfgrass, which had previously gone unclassified. Tomaso-Peterson first noticed the fungus when her colleague, Clarissa Balbalian, MSU Extension Service diagnostic lab manager, brought in a mysterious sample. “Whenever Clarissa finds something she doesn’t recognize, she brings it into my lab for us to look at together. Through that, I first came across a foliar disease that was on bermudagrass. Afterwards, I started to see it in all different grass types in the golf course setting. It was a disease that I wasn’t familiar with, so we isolated the fungus, and as it began to grow out I realized it was something I had never seen before,” Tomaso-Peterson explained. While fungi identification might seem straight-forward, figuring out which fungus is causing a symptom can be difficult; every plant has a variety of fungi living on it and many are benign. In order to discover which is causing the problem, researchers isolate one fungus at a time. In order to better understand the mystery fungus, Tomaso-Peterson set up greenhouse trials to examine which grasses were most susceptible. “I found that zoysia and bermudagrasses were highly susceptible, which made sense, because those were the grasses I was seeing the fungus on most frequently,” Tomaso-Peterson said. “The fungus colonizes the infected leaf, so you can see the robust mycelium that covers it. That’s what gives it the brown color. It wasn’t something we had ever seen before. But as we started to look for it, we realized that it wasn’t isolated to one region, but was all over the Gulf Coast,” Tomaso-Peterson stated. 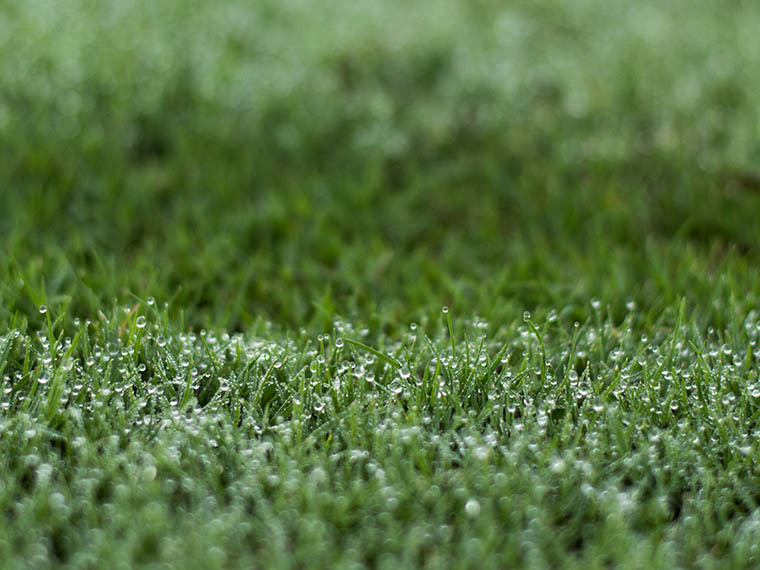 Conditions associated with the fungus are high rainfall and highly-maintained turf, like that on golf courses. “We don’t really see it in home lawns. 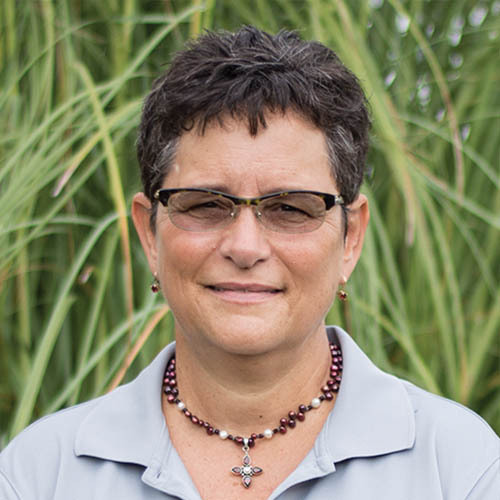 I think it’s because of the way fertility management and irrigation are handled, as well as the amount of stress placed on the grasses, especially on the putting green,” Tomaso-Peterson hypothesized. Now, Tomaso-Peterson has turned her attention to another mystery fungus. “There’s a soybean disease coined the ‘mystery disease’ that has been out in the fields for 10 to 15 years. We only recently started looking at it. I brought it to the lab and isolated a fungus, and identified it and found that it belongs to a genus of woodrot fungi that generally isn’t parasitic to plants. 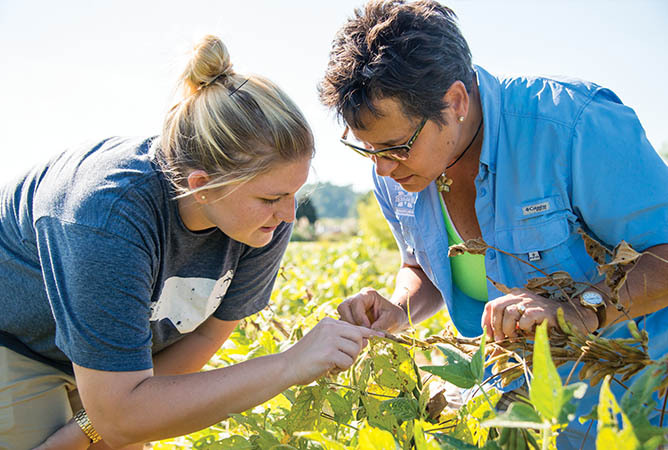 We’re calling the soybean disease ‘taproot decline,’ and are currently collecting plants from all over Mississippi in order to get an idea of what the diversity is across the state—it’s the same process I used in identifying Curvularia malina,” Tomaso-Peterson explained. Balbalian, who first brought the sample to Tomaso-Peterson’s lab, spoke to the importance of identifying and classifying unknown fungi. “Taxonomy can be frustrating because the more the technology advances in terms of being able to identify genomes, the pickier we get about classifying things. However, scientific names are really important in terms of identifying and dealing with fungi. Once we’ve identified it, we’re better able to study it, because we know what we’re studying,” Balbalian said. By identifying the pathogen and then classifying fungi according to genus-species, scientists are able to create a body of work, recording data such as the conditions it is found under, the symptoms it causes, and the biology behind it. It also allows them to get an idea of how prevalent it is in plants within a region, and what steps might be taken to prevent plant diseases. Passion At Work: My passion lies with identification of causal organisms responsible for plant diseases. Working with undergraduate and graduate students brings out my true passion for learning and being a mentor.